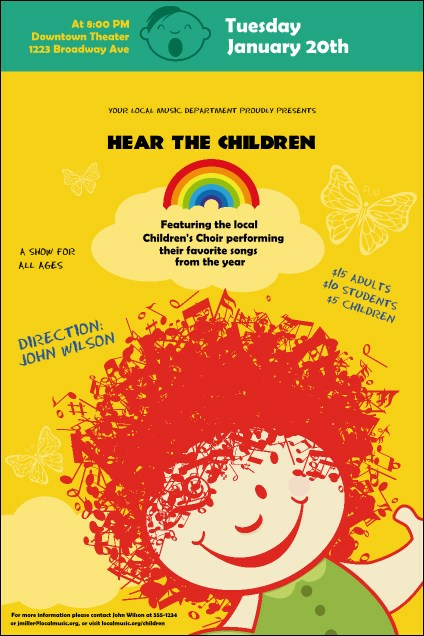 If you fancy having a sold out musical performance, you'll love the Children's Music Poster! Instead of a work-a-day list of event details, you get a pleasantly whimsical poster filled with fun. Add the specifics of your recital on up to twenty easy to edit lines. The right poster from TicketPrinting.com can help get additional notice for your event!